The main reason enabling ZiBone to produce implants with high-strength and to return teeth to their natural color is due to the use of biotech grade ceramic Zr02-TZP and high purity zirconia oxide. The rough nanoporous fixture surface effectively enhance osseointegration and shortens treatment time. In addition of having the entire manufacturing process up to ISO 13485 standard, ZiBone’s all-ceramic implant is the first to be approved in Taiwan. With high biocompatibility, ZiBone provides the best choice for patients that are prone to allergy. The closeness to natural color attributes to the special characteristic of ceramic implant. Avoid discomfort and staining to your gum, unfolding your confidence and let the true beauty of perfection shine. Our product is simple but with high quality. Using biotech grade ceramic to create, satisfying FDA inspection standard, passing the 5 million impact fatigue test just so you can chew with confidence, fully enjoy any fine cuisine and appreciate the delicacy in life. Ceramic implant is less likely to accumulate dental bacterial plaque. 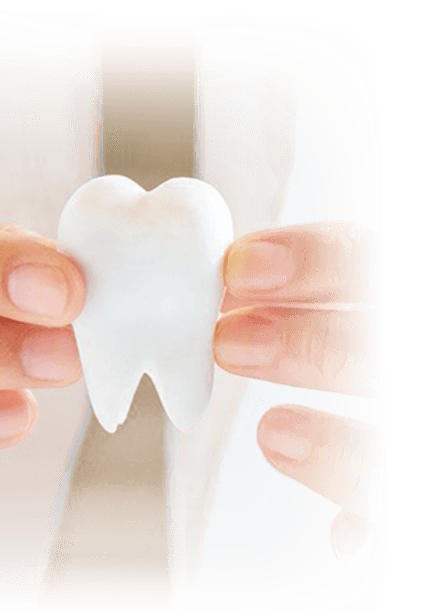 More compatible to soft tissues in the mouth, gingival tissues can grow and form a tightly sealed around the implant. Avoiding inflammation and infection by reducing the accumulation of bacterial plaque and allowing no gaps around the fixture. high quality and up-to-date technology.